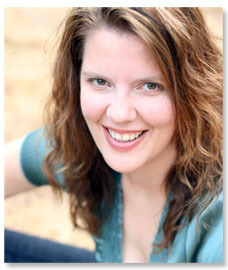 My name is Kristen Tracy and I write books for young readers and teenagers and sometimes people older than that. I grew up in Idaho in a very small town and now I live in Los Angeles. If you know me, we could've met in Montpelier, Vermont or Kalamazoo, Michigan, or Providence, Rhode Island or San Francisco because I've lived in those places too. Or we might have met at a bus stop or in an aerobics class or Transylvania. I chat with strangers all the time. Panda Puffs Cereal, my immediate family, and free time. Okay. I don't have fingerprints. This is according to the FBI and a police precinct in Los Angeles. No, I'm not a criminal. Before I could teach high school, I had to put my fingerprints on file. Are you a tall person? Yes, I'm a tall person. When I wear shoes with heels, which is basically whenever I wear shoes, I'm almost six feet tall. And because I like basketball, people always assume that I played basketball, but that's a wrong assumption. What did you do before you wrote books? I was a full-time poet and teacher, though I'm not teaching right now. I've taught all sorts of writing and literature courses at Brigham Young University, Johnson State College (in Vermont), Stanford University, UC Riverside's Low Residency MFA Program, and Western Michigan University. And I taught at Hawthorne High School in Los Angeles. If any of my former students are reading this, hey, what ever became of you? Los Angeles. With my husband Brian Evenson and our son. *** This information has been redacted by the author. *** This decision was made after a series of conversations with friends in which the author's heroes were mocked relentlessly, and a series of subsequent conversations in which these friends requested to be listed as heroes. My website was designed by Little Willow of Rock the Rock Creations. All hand-lettering (my name, the bottom menu and section headers) created by Helen Dardik, who also illustrated the cover of Camille McPhee Fell Under the Bus. Is it true that you're a doctor? Well, I'm not the kind of doctor who can take out your appendix. I could try, but I don't think it would go well. I'm very squeamish around blood and internal organs. Also, in high school my ability to identify internal organs in pickled frogs and sharks left a lot to be desired. I have a Ph.D. in English. I also have an MFA in writing and an MA in American Literature. I guess I enjoy learning . . . while seated among my peers at uncomfortable desks.